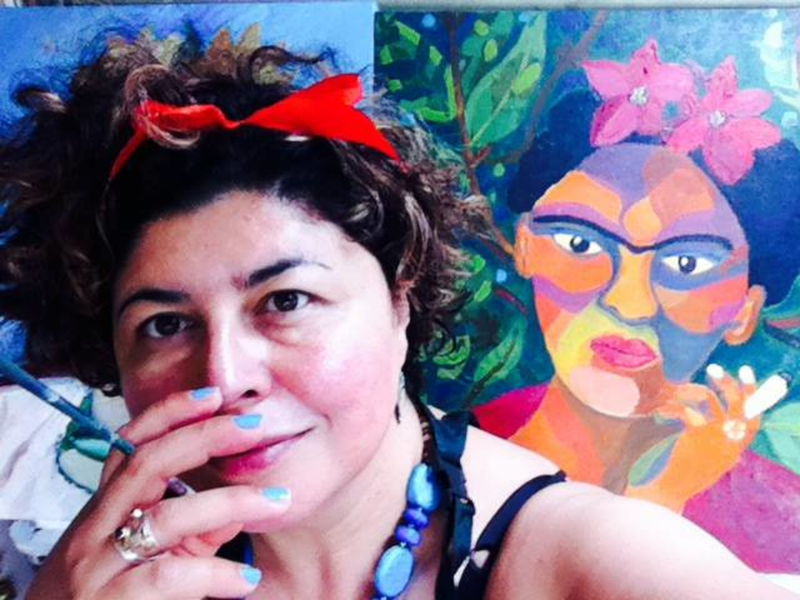 Beatriz is a multimedia artist and educator, working in different mediums: from watercolour and oils, to textiles, and conceptual art. Originally from Colombia Beatriz draws inspiration from her tropical roots and she is inspired by Latin American "sheroes" such as Frida Kahlo, Doris Salcedo and Beatriz Milhazes. Her recent multi-media / installation work Yonis (sanskrit word for Womb) celebrates women' sexuality while raising concern toward the bio-politics exerted over the female body. It has been exhibited in London Espacio Gallery and it is part of a wider project called RawTag: an art and education for sustainability project aiming at questioning practices of consumption and production, ethics and aesthetics, focused initially on fashion and clothing.